Assorted commentary by public officials, journalists and members of the public. 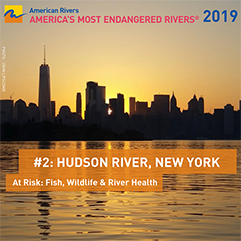 “Many communities in Westchester County have experienced coastal storm and flooding damage and have already taken significant actions to protect their communities, residents, environment, critical infrastructure, and improve their resiliency to impacts associated with a changing climate. I urge you to first prioritize ways to work cooperatively with these communities to support and build on the actions they already have underway. “The U.S. Army Corps of Engineers should consider ways to support and work with these well researched and publicly supported programs and actions rather than constructing physical barriers that will impact the tidal flows to this unique and irreplaceable river and estuary. 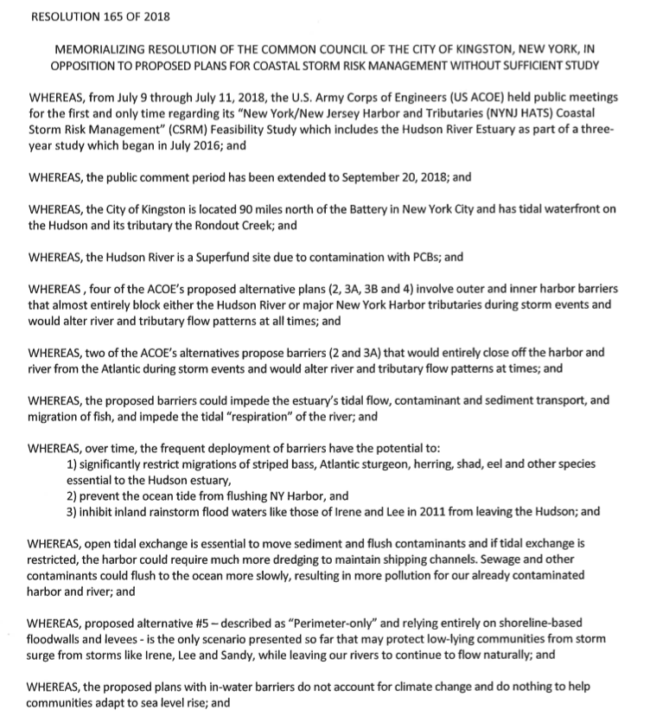 Cortlandt (Town): Resolution in opposition to Army Corps of Engineers New York/New Jersey Harbor and Tributaries Focus area feasibility study for coastal storm risk management without sufficient study or community participation. 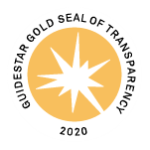 Croton-on-Hudson: Resolution to request an extension of the scoping comment period with additional public information and scoping meetings for the NY/NJ Harbor and Tributaries Coastal Storm Risk Management Feasibility Study. Download a model municipal resolution. “We urge a more robust analysis that considers the full, long term impacts on water circulation and retention as well as impacts on existing and potential natural systems and the ecosystems services they provide. The large-scale interventions (harbor-wide storm barriers), especially those contemplated in alternatives 2 and 3, could dramatically alter critical natural systems. As restoration ecologists, we’re deeply concerned about the impacts on sediment transport, fish and shellfish survival, water quality and sewage pollution retention.